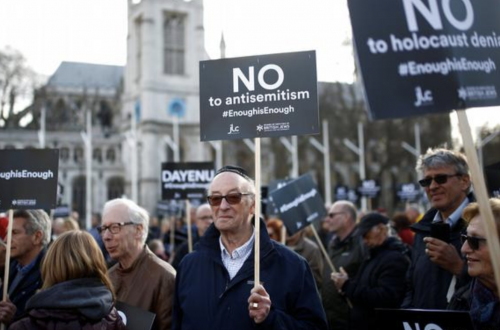 When I did my Masters at the School of Oriental and African Studies the Israel Society there was a genuine counter-balance to the anti-Israel propaganda being disseminated by the SOAS Palestine Society. Students of all political persuasions could question Israeli politicians and diplomats and watch superb Israeli films like Beaufort. Now, sadly, the SOAS Israel Society has been taken over by anti-Zionist activists Sharri Plonski and Dimi Reider (of the anti-Zionist+972 Magazine website) who desire so-called Palestinian refugees (including many who were never born there but, what the hell, let’s call them “refugees” anyway) to be allowed into Israel and destroy its Jewish sovereignty. On Monday they held the event Is BDS Working? Plonski said she looked forward to a “discussion”, but warned (clip 1) that if there were any untoward interruptions she would call security (and you wouldn’t want to upset the dictatorial Plonski). Each speaker then slammed Israel after which they got asked compliant questions by a compliant audience. But there was no “discussion”. The evening reached its Orwellian zenith when the panel was criticised for the lack of a Palestinian presence. Plonski agreed and said she would work hard to have one next time. But what about the Israeli government’s views, one might have asked? I doubt Plonski will be working too hard to have those aired on one of her “discussion” panels. Chalcraft thinks that organisations that are usually unconcerned about the Israeli-Palestinian conflict when conducting business with Israel will now start to be concerned about the prospect of “nasty, grungy looking campaigners” (clip 5) showing up on their doorsteps with pictures of murdered Palestinian babies (incidentally, see here for Daniel Hochhauser’s total demolition of Chalcraft’s arguments when they debated This House Believes in an Academic Boycott of Israel). But we know that just like Pappe, Plonski and Reider, for Chalcraft the real problem is not “the occupation”, but Jewish Nationalism. 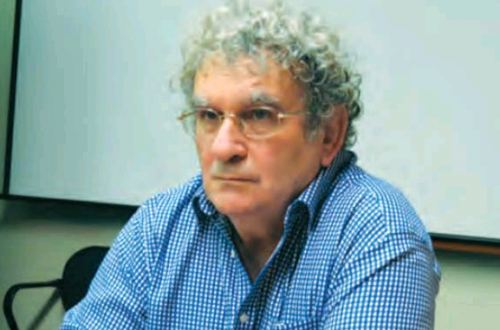 “interesting rifts in both Israeli society and academia that are opening up right now that BDS can exploit, because if you have a non-violent strategy of resistance then you do have to divide, in this case, Zionism”. 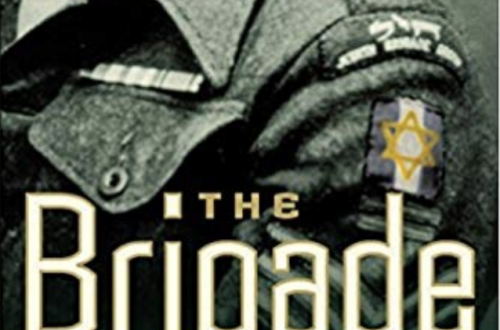 He spoke of rifts between the settlers and the IDF, between the segregationist movements on the buses and the more liberal Zionists and also between Liberal Zionists in America, like Thomas Friedman, and other “Newt Gingrich-style-Adelson-casino-owning movements in the United States”. Hannah Weisfeld’s (from “pro-Israel” Yachad) main arguments were that Israel has a right to exist, that BDS has had little impact on Israel and that BDS wouldn’t work anyway as it keeps Israelis on the defensive. She didn’t think BDS was anti-Semitic, but she described what Israel was doing beyond the Green Line as “criminal”. How disappointing that Weisfeld thinks that neither singling out the one country that just happens to be Jewish for a boycott nor the desire of BDS to end Israel’s Jewish sovereignty are racist. And neither does she totally dismiss the possibility of herself supporting a targeted boycott of Israelis who live on the West Bank. On top of all this Weisfeld never articulated what she expected to happen after any such unilateral settlement withdrawal by Israel. What happens if rockets fired from the West Bank then start hitting Tel Aviv, for example? 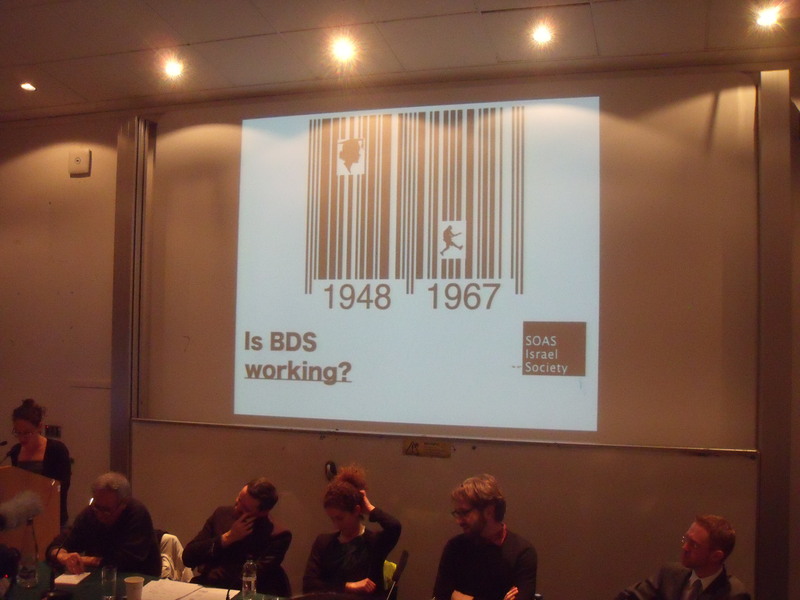 And how has the Israel Society at SOAS been hijacked like this? You would have thought that university societies existed to reflect their subject matter in a positive light. However, students at SOAS are now being fed horrendous lies about Israel not only by the SOAS Palestine Society but now by the SOAS Israel Society as well.